Today through the 20th, you can swing through the McDonald’s drive-thru and pick up a Quarter Pounder and get the second one free. If you are tempted to do this, please see the above photos. 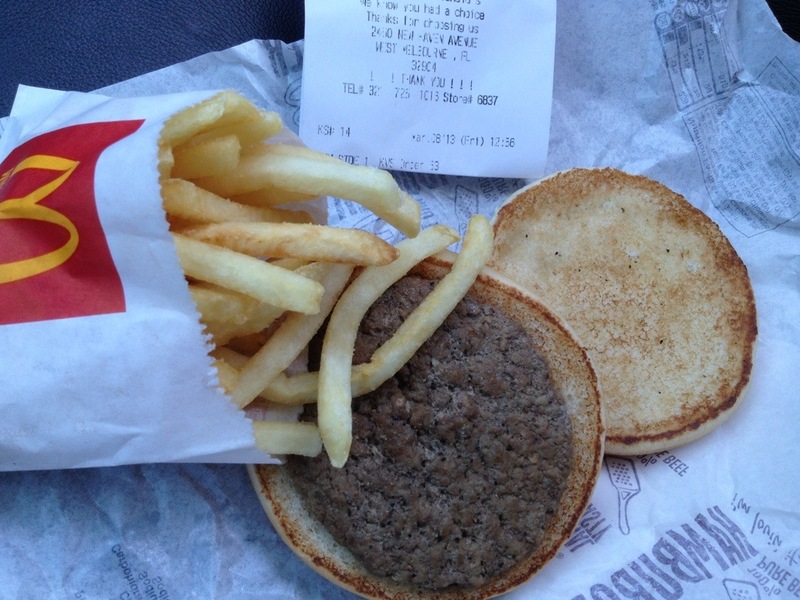 I purchased a plain hamburger and small fries on March 8th (see picture #1). Picture #2 is what that meal looks like today after sitting in my dark pantry for over 3 months. 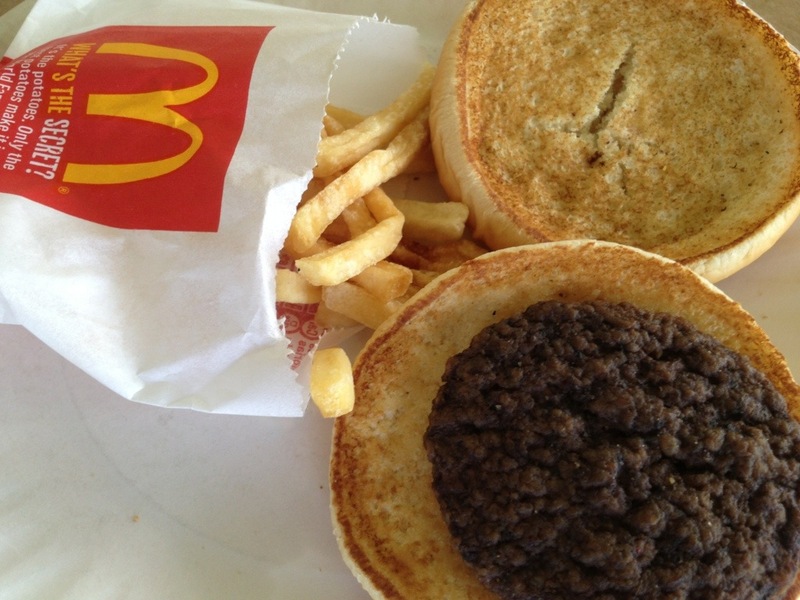 Not much has changed- just some shrinkage to the patty…no mold, no bugs. Sometimes getting something for “free” can be costly. I’ll opt for a banana with peanut butter- Cheaper and much more nutritious! Hummus Shipments – Last Week for Priority Mail!